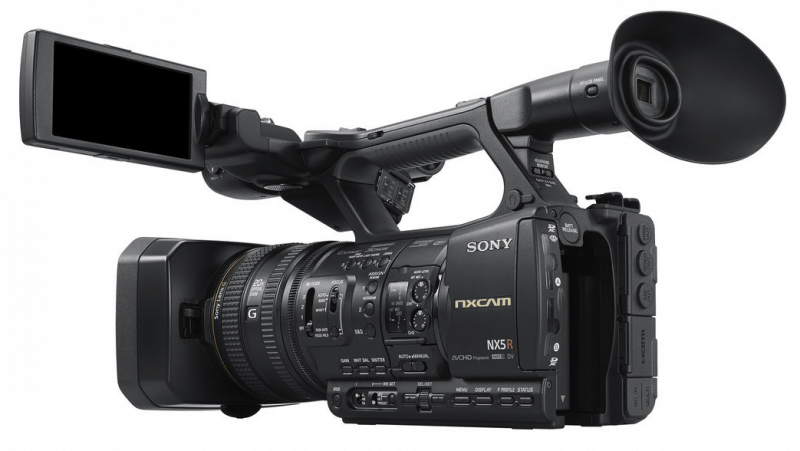 The demand for professional camcorders for photo journalism and news gathering is still very much in existence and Sony is geared to be on top of its game in this area. In the next few weeks, the NXCAM line of the company will be welcoming an addition to its professional HD camcorders: the HXR-NX5R. This newest professional compact camcorder boasts of several improvements to surpass its predecessor. Apart from the established AVCHD/DV recording formats, it also offers simultaneous backup recording via two SD card slots. This professional camcorder comes with a sturdy body and a built-in WiFi as well as FTP wireless connections that allows for video transfers and sharing. For journalists, these features make it possible to send video clips to the editor regardless of location. It also has a legacy codec support that makes the user capable of shooting and at the same time editing the footage and send them to older projects that are taken on DV formats and AVCHD. 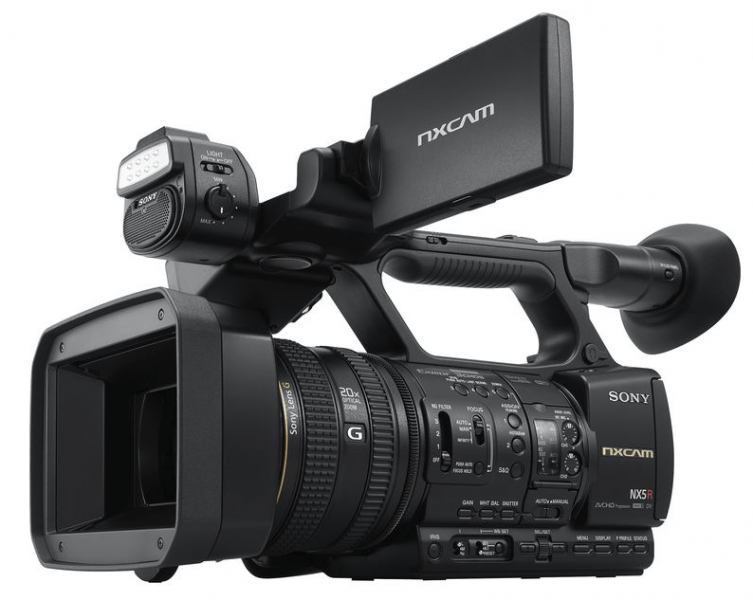 Sony wanted to enrich the experience of camcorder users that the people behind the design of this model made sure that a 3G-SDI terminal is added to support Full high-definition 60p output. They also considered the need to avoid cabling, thus, it is compatible with Sony’ Multi-interface Shoe. Consequently, the camcorder can be used with Sony’s UWP-D series wireless microphones. This powerful camcorder also comes equipped with a responsive joystick for easy operation and handling. This feature allows the user to access key functions without having to access the menu settings. On top of this, the HXR-NX5R has a wide viewing angle as well as high contrast OLED viewfinder that is perfect for monitoring shots. This camcorder is also capable of capturing images and videos at NTSC broadcast frame rates from 59.94 to 23.98. As for the 3G-SDI output, supports are also for Full HF video at 54.94 fps as well as other options: 1080i, 720p and 720 x 480i. 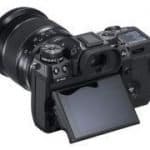 it is also equipped with three ½.8-type Full HD Exmor CMOS sensors that result in highly sensitive and high-quality color imagery while zoom range is 40x Clear image. This feature allows for larger optical zoom without affecting the quality of the image. This camcorder is also equipped with the “G Lens” that uses image processing technology that complements the equipment’s advanced image sensor. Meanwhile, the manufacturing giant also claims that this camcorder is the very first of its kind to have an LED video light with adjustable brightness that do away with the requirement of an external light source. 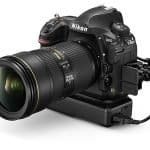 The people behind this shooting equipment boast of the flexibility in operations, easy-to-use features and other useful functions of the NX5R NXCAM. This is the remote control that complements the NX5R and is recommended to small production companies and freelance photojournalists. 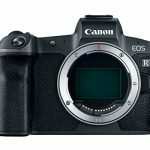 It offers many advantages such as being lightweight, connection for multi-camera control and for controlling most camera functions. The Sony HXR-NX5R is the latest offering from Sony and is a good investment for professionals and aspiring photographers and videographers dealing with documentaries, productions, content creation and journalism.